Tax season is upon us, and as taxpayers start gearing up to prepare and file their taxes, some are hit with undue tax stress. Tax season is one of the most stressful times for many taxpayers, however it doesn’t have to be that way. Tax preparation is a necessary part of being a working adult and a business owner. Unfortunately the responsibility of paying taxes weighs heavily on some for a variety of reasons. How do I avoid an audit? Am I paying too much tax? Am I paying too little and will I get in trouble with the IRS? How do I avoid penalties? How do I get the biggest refund? These are all common questions that plague many taxpayers this time of year. Here we thought we would approach the psychological angle of tax — and share some tips to help you reduce stress during tax season while maximizing your deductions. The tax code is constantly changing, which is another reason for tax stress. Keeping up with the changes and updates is a full time job, which can make tax season intimidating, and feel like the marker keeps moving. Major reforms in 2018 include: doubling of the child tax credit, a new business deduction for all pass-thru entities (LLC’s, S-Corporations, and Partnerships), and the elimination of entertainment expenses as business deductions (sorry, no more writing off Giants/Warriors or Dodger/Laker games). One thing is for certain when it comes to tax season, you want to pay the correct amount. Failure to calculate the correct amount you owe could result in penalties, which definitely causes stress. Overpaying is essentially giving the government an interest-free loan, when you could use your own money to make money. Filing your tax returns on time is important in order to avoid costly penalties. The longer you wait the more stress you’ll feel and the more you’re willing to pay. Getting your return done earlier eliminates some of those challenges and many accounting firms will offer a small discount for signing up early. We’ve learned the word ‘audit’ can send chills down our clients spine. While we believe IRS audits can be made manageable and fair, the possibility of a rendezvous with the IRS is the last thing that anybody wants. It is an unpleasant situation, so there is no doubt as to why it can be a stress trigger for many taxpayers. When it comes to tax stress prevention is worth its weight in gold. There are several things taxpayers can do to reduce tax stress and also get a bigger refund. Organization is key to reducing tax stress and implementing the right strategy to reduce your tax bill. Throughout the year you will have ongoing expenses that if categorized correctly, can qualify as a deductible expense, reduce your income and therefore your tax also. Keeping track of these expenses throughout the year with a good accounting system is crucial. 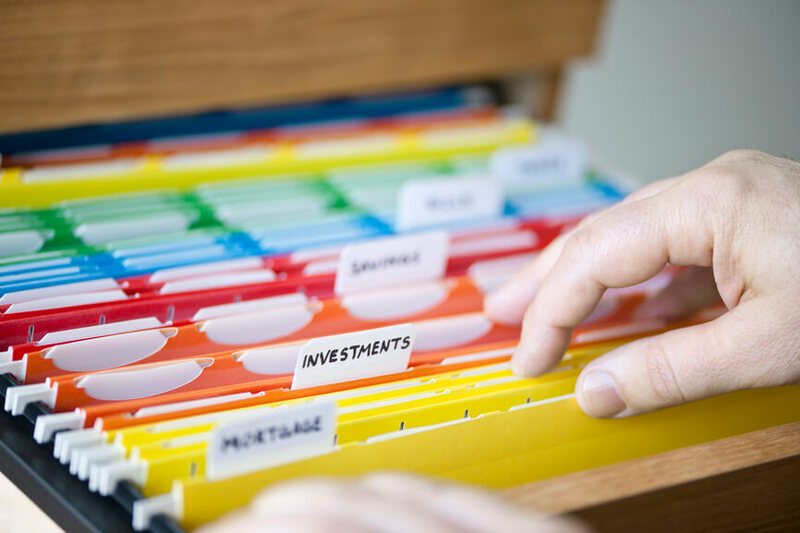 In addition, keep a filing system where you can file all of your pertinent tax information together. 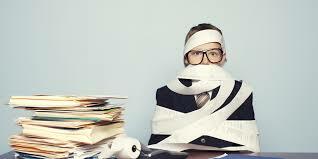 The more organized you are, the less you have to scramble come tax time, and the less stressed out you will be. This also ensures that your taxes are accurate because you have all the information together. And accurate tax returns raise less red flags, and prevent penalties and fines. One of the biggest reasons taxpayers stress out during tax season is they are trying to do it themselves. The more simple your situation is (i.e. you take a standard deduction and only on W2), the easier it is. However, once you have a business grossing more than $20K (the IRS’s sweet spot for a small business), then chances are you are going to be taking more deductions while making more money, which means Uncle Sam is going to want a bigger piece of the pie. Working with a professional can help you save money because they know the tax code and which deductions and credit apply to your situation. They can help with compliance issues and keep you on the right side of the law. By working with a professional, you eliminate the fear of the unknown because you are allowing someone else to assume responsibility for the information. Tax professionals also stay up to date on the latest changes in the law so you can rest easy. When selecting a professional to work with make sure they have the right credentials and knowledge of your industry. You will want to ask what areas of accounting they specialize in. Some professionals focus on accounting, others tax preparation. With tax season approaching you will want to find an advisor who is well rounded, and has the skill set that meets your needs. When it comes time to file for taxes, don’t wait until the last minute. This is a sure fire way to amp up your stress levels. It’s like running a late yellow light during rush hour in the rain and you’re already 1 minute late. Don’t mess around with IRS due dates. File ahead of time. This will reduce your stress, and save you money in penalties. 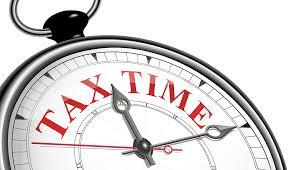 If you do have to file late, be sure the file an extension but pay your the estimated taxes you owe. There are a several things you can do to minimize your taxes on your way to a bigger tax refund. If you haven’t paid any tax this year, then you’ll need to make a payment by January 15 to avoid an estimated tax payments underpayment penalty. And your goal should be to not owe too much, since you’ll get a higher penalty the more you end up owing. However, if you have made payments then the goal is to prepare your taxes in a strategic way and perhaps get that elusive refund. After all, everyone wants a big tax refund, right? A big tax refund can definitely help you forget your tax stress, so here are some ways you can get a big refund this year. It might seem like a mundane task at the time, but saving your receipts can really pay off. We recommending using technology to do this. We have clients that photo scan all their receipts with their phone email them to one folder, then toss the receipt. This is perfectly fine. As we mentioned above, it is important to be able to categorize your expenses so that they can qualify as deductible expenses. 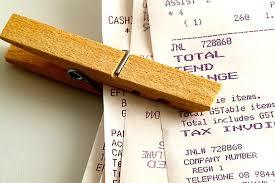 Saving receipts helps you categorize your expenses, in addition they are also audit protection. Itemized deductions work to reduce your adjusted gross income (AGI). The lower your AGI the lower your taxes. While saving money on taxes doesn’t necessarily negate a higher return, it can affect your ability to qualify for tax credits that can boost your refund. Contributing to your retirement account is not only a good for securing your future, but also for you taxes. By contributing to your retirement account like an IRA you can qualify for a deduction. In addition, you may also be able to take advantage of The Saver’s Tax Credit. Tax Credits are great refund boosters because they work as a dollar for dollar reduction of your taxes. We mentioned The Saver’s Tax Credit above, however, there are many more like the Earned Income Tax Credit, The Dependent and Child Care Tax Credit, and the Lifetime Learning Credit to name a few. For marketers, we’ve found that the R&D credit has been a great way to wipe out tax debt for our business owners. The best way to reduce tax stress is to get organized, get a jump start on filing, and to get a second pair of eyes on your return. One way to do that is to work with a professional tax advisor. In the long run this will save you time, money, and stress because they know the tax laws, know how to accurately prepare and file returns, and they will know which deductions and credits are applicable to you. For more tips to reduce tax related stress or to learn more on how to get that elusive bigger refund this tax season, subscribe to our newsletter.